Great mobile home for a buyer who wants Central Coast living at an affordable price! The best news is that you own the land it sits on. That means, no association dues or space rent on this 5983 sf lot. 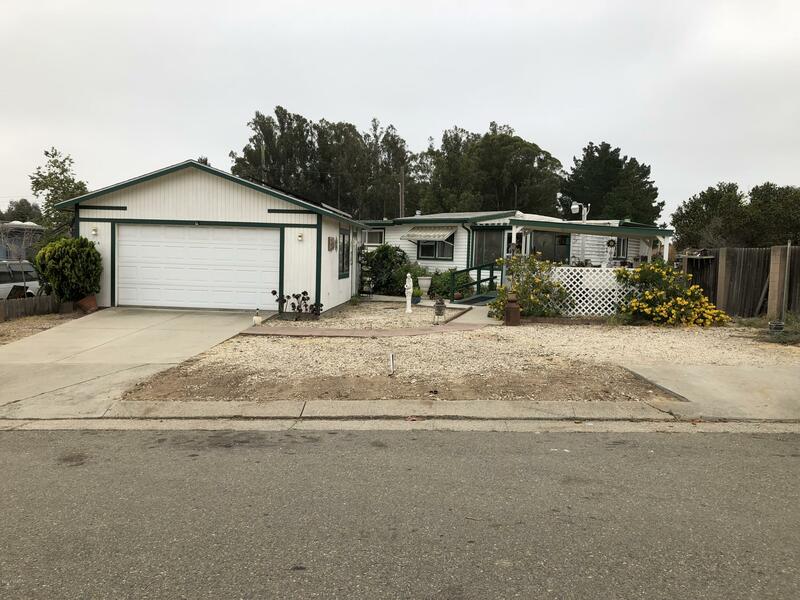 This beautiful 4 bed, 1 bath home located in an established Nipomo neighborhood has an enclosed front porch, spacious indoor laundry room, large walk-in master bedroom closet, covered front yard gazebo and an oversized 2 car detached garage. This home also features a large backyard with two storage sheds and many other features that will make your new home a comfortable and cozy place to live. Directions to Property: Hwy 101 to Tefft, west on Tefft to Orchard, south on Orchard to Division, west on Division to Mecury Dr.